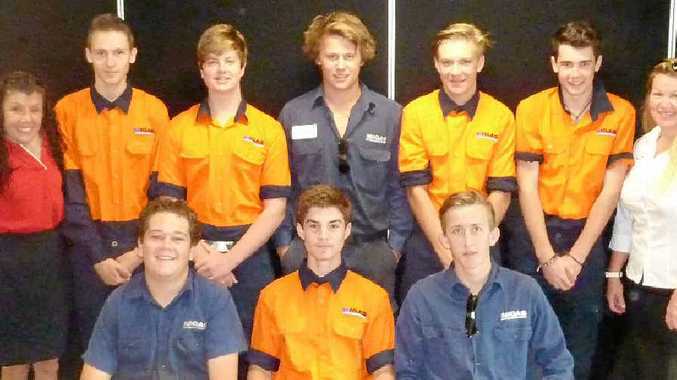 A GROUP of eight school students from the Sunshine Coast have been given the opportunity to complete a Certificate II in Engineering via a school-based traineeship, while still completing their Senior Certificate at high school. MIGAS Sunshine Coast Team Leader, Danielle Cragg, said the initiative, arranged by MIGAS Apprentices and Trainees and in conjunction with Sunshine Coast Institute of TAFE, is aimed at ensuring a sustainable working future for the engineering sector. "The School-Based Traineeship is a stepping stone to entering a full-time apprenticeship upon completion of Year 12," she said. Ms Cragg said MIGAS could not offer the placements without the support of their valued host companies that take on the school-based employees. "As well as assisting young people in kick starting their trade career, we like to allow businesses to 'mould their own' tradespeople from the ground up," she said. For more information about school-based traineeships and apprenticeships, contact 1300 464 427.